Participate in actions aimed in supporting specialized pediatric care in orthopedic, burned, spinal cord injury, and cleft lip. 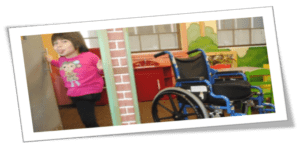 We host social activities for the purpose of raising funds to support centers of pediatric medical attention mentioned above in accordance with the norms of Almas Shriners. The Almas Peruvian Shrine club was chartered 2009 with the official authorization of The Potentate of the Almas Shrine Temple. 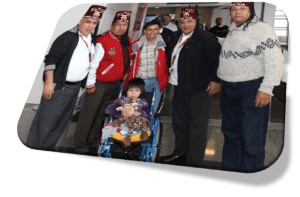 With those years of proud service to our beloved Almas Temple, we have enjoyed providing assistance to the Children’s Hospital in the burn unit and also to the municipal hospital of San Juan de Lurigancho, in the city of Lima, Peru. The Almas Peruvian Shrine Club would like to extend to you an invitation to join our fun and exciting club. In our club, we enjoy our friendship with frequent social gatherings inside and outside the Almas Temple. 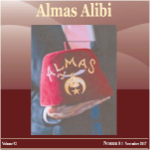 Membership in the Almas Peruvian Shrine Club is available to any Noble of Almas Temple in good standing in the Ancient Arabic Order of Nobles of the Mistic Shrine of North America. Annual dues are $25.00 a calendar year. The Club meets the fourth Friday of the month at 7:30pm for the business meeting and fellowship.